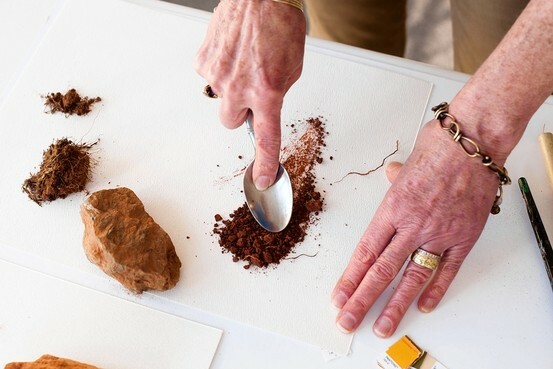 Wine-label designer Susan Pate digs for inspiration in the dirt. She starts by examining the terroir—a French term for the environment in which wine is produced, including soil, topography and climate. At her client’s vineyards, she collects soil samples, rocks, twigs, vines, weathered wood from an old barn and anything else she thinks might help her remember the property’s unique qualities. Ms. 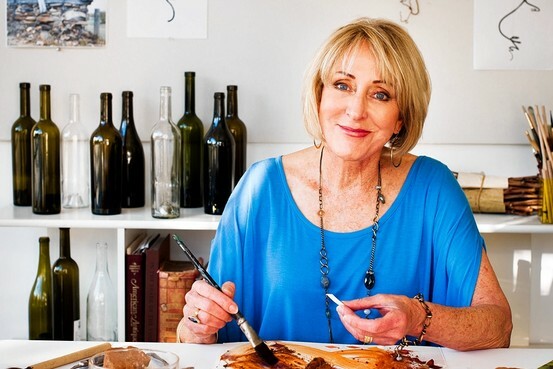 Pate, a youthful sexagenarian, then brings her natural treasures back to San Francisco, where her design studio is based. By mixing the soil samples with water, she creates a rough form of paint, which she brushes onto watercolor paper. 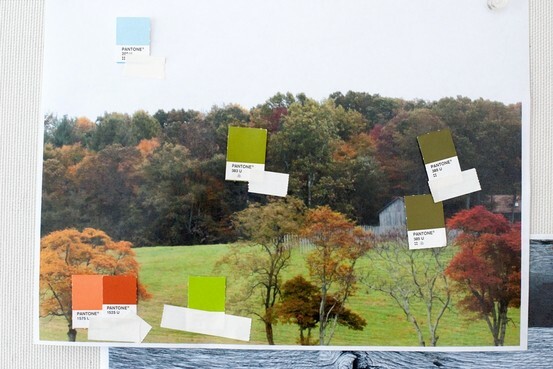 Matching the reddish, burnt-orange and ocher soils to paint chips, she hopes to find inspiration for the project’s color palette, “though at the time we’re collecting it, we don’t know what we’ll use it for,” she admits. Her goal: to communicate a sense of place. Ms. Pate’s ability to create memorable wine labels—including for Opus One, Harlan Estate, Mondavi and Domaine Chandon—has made her a sought-after consultant in the wine industry. Through the Napa Valley Reserve—a private club, complete with vineyard and storage facilities, which gives members the opportunity to make their own wine—she has designed labels for such celebrity members as the baseball player Mark McGwire and financial-planning personality Susan Lynn “Suze” Orman. She designs dozens of new wine labels a year. “It was natural for us to go to the iconic designer behind some of the most famous wines in the world,” says Jean Case, when she and her husband, Steve Case, the co-founder of AOL, first started making wine six years ago. Their first wine was made through the Napa Valley Reserve (the Cases were founding members). Mr. Case’s home state is Hawaii, so Ms. Pate gathered images from there, including breadfruit, petroglyphs and the stylized shape of taro-plant leaves, which are popular designs for Hawaiian quilts. The Cases liked all 10 of the ideas that Ms. Pate initially brought to them, particularly the textured stitching on one of the labels. The final label included that subtle, embossed stitching, inspired by the tides and the image of a breadfruit. For the name of their wine, the Cases came up with Ohana—which means family in Hawaiian—and Ms. Pate urged them to include a description of what the word meant to them on the back of the bottle. A few years later, the couple decided to open their own winery at the foot of the Blue Ridge Mountains in Virginia, on a 300-acre property once owned by a Revolutionary Era veteran named Lt. Joseph Early. 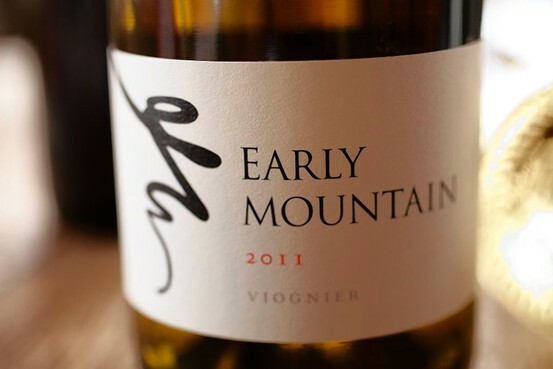 They named it Early Mountain Vineyards and again turned to Ms. Pate. She began by making a collecting trip to the historic property. The rocks that she gathered there were so heavy that she couldn’t bring them back in her luggage; the winery had to ship them across the country to her. The colors from the red clay and quartz soils of the Virginia property became the earth tones that Ms. Pate used for the closure for the top of the Early Mountain wine bottle. She took nearly a thousand photos of the property during her first visit—and ended up presenting the Cases with the image of an expressionistic tendril from a grapevine. “We loved the symbolism of the tendril,” Mrs. Case says, since the couple’s goal for the young winery is to help extend the reputation of Virginia (Mrs. Case’s home state ) as a wine region. Mr. Harlan acknowledges initially giving Ms. Pate a lot of notes to work with. Even so, he has continued to work with her for 25 years, explaining that “she’s got a very good eye and she doesn’t compromise.” The Harlan Estate labels that Ms. Pate designed resemble fine engravings and are widely admired in the industry. She worked with a retired government engraver in producing them. “So many people say, ‘I want what Bill Harlan’s got’—but I just won’t do that,” Ms. Pate says. Some of Ms. Pate’s more glamorous assignments include working with the Frescobaldis, an Italian winemaking dynasty whose history in Tuscany stretches back 700 years, and France’s Count Frédéric Chandon de Briailles, when his family first established a presence in Napa in 1973. Ms. Pate recalls traveling to Paris to visit the count, whom she calls “Fred,” visiting Versailles, and enjoying a private tour of the Tuileries Palace. Her assignment: to create a name and label for the family’s Napa wine that would last 150 years. (They settled on Domaine Chandon for the name.) “It felt like I was in a movie,” she recalls. Ms. Pate consults on all aspects of the package, including the name of the wine, the shape of the bottle, the type of glass, and the color and style of the capsule (the protective sleeve around the cork). A version of this article appeared February 23, 2013, on page C11 in the U.S. edition of The Wall Street Journal, with the headline: Images for Wine in Down-to-Earth Designs.